Phnom Penh (FN), Feb. 2 – The Chinese Embassy in Cambodia claimed that the Central Intelligence Agency, intelligence service of the federal government of the United States, was behind the Cambodian coup of 1970, generally seen as a turning point in the Cambodian Civil War. 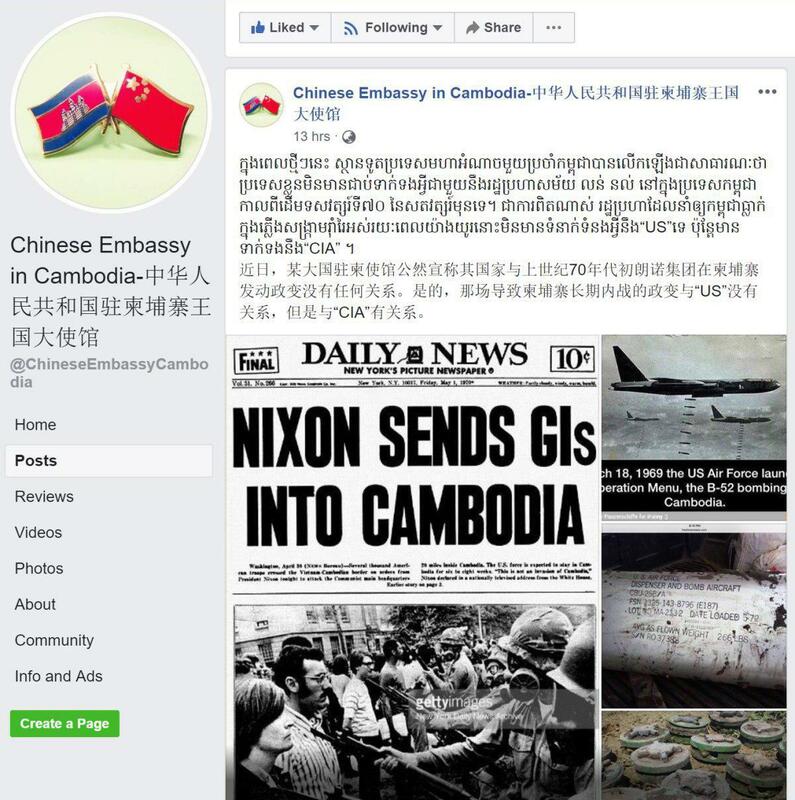 “Indeed, the Cambodian coup in 1970 had nothing to do with the US, but with the CIA,” the Chinese Embassy wrote on Friday, attached with a daily news’s cover entitled “Nixon Sends GIs into Cambodia”. 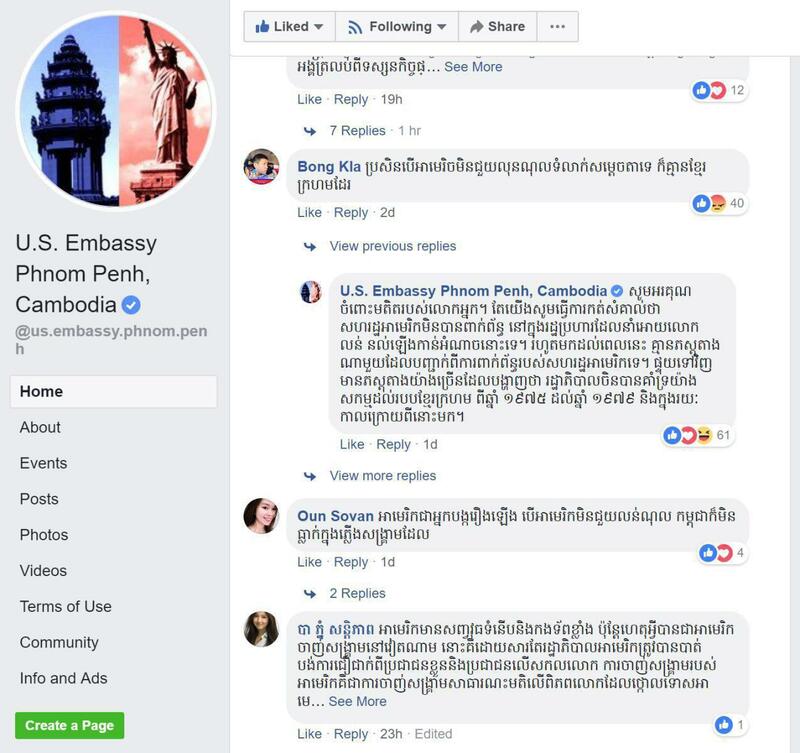 The Chinese Embassy’s statement was made in response US Embassy Phnom Penh’s Facebook comment, stating that the United States had nothing to do with the coup launched by US-friendly Gen. Lon Nol. This is the first time ever the two world's superpowers, China and the United States, have debated on the Lon Nol's coup d'etat, a blatant destruction to Cambodia's peace and harmony of her people. The Cambodian coup of 1970 removed Cambodian Head of State, Prince Norodom Sihanouk, on 18 March 1970, making the then Prime Minister Lon Nol the head of state. The coup had dragged Cambodia into the vortex of a wider war, particularly the genocidal regime that killed almost three million Cambodian people. According to the Cambodian Mine Action Centre's report, the United States had dropped about 2,800,000 tons of bombs between 1963 to early 1975 under the pretext of destroying Vietnamese invaders, but more than 500,000 Cambodians were killed by these bombs, including damages and destruction of infrastructure and residences.